As the world prepares for 5G, let's take a moment to see what the new standard offers, particularly for smart city projects. A report a few years ago from the IET found that the public often lack a real understanding of how smart cities will benefit them. The authors believe this is largely because those responsible for the roll-out of smart city type technologies seldom involve the public in their decision-making processes. This contributes to a distinct lack of buy-in by the public in the technology. What’s more, this is despite the early successes of platforms such as Airbnb and Uber. It seemed somehow fitting, therefore, to be at the IET for the launch of a new report from O2 on the value of 5G for cities and communities. The report suggests that the eventual rollout of 5G technology throughout UK cities will result in £6 billion in productivity savings across the country. “Of all the ingredients that keep our economy and society moving, arguably top of the list is mobile. Our report demonstrates how 5G technology, when it arrives, will provide unprecedented benefits for consumers, councils and cities alike. The enhanced connectivity on offer will make a real difference to people’s lives and pockets. However, none of these benefits are assured. We need a high level of collaboration to press ahead with the rollout and to hardwire 5G into the fabric of our cities,” O2 said. The report suggests that 5G will have numerous benefits, including lower energy bills, smarter refuse collection, support for the introduction of telehealth and wearable technology into healthcare, and of course smarter infrastructure. These potential benefits are largely taken as a given and assume that 5G penetration will be 100% in UK cities by 2025, and it’s hard not to take the incredibly optimistic projections with a large pinch of salt. For instance, technologies like telehealth are far from new, and can function perfectly well with existing telecommunication technologies, yet they remain a minority presence in our health system for various, often non-tech, factors. 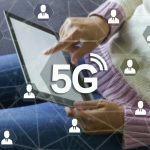 It’s this collaboration between industry, government, local councils and academia that the authors believe will be crucial for 5G to realize its potential, and in that it’s hard to dispute their logic. O2 recently announced a partnership with AEG to launch a 5G trial at The O2, whilst the 5G Technological Cities project was also launched by parent company Telefonica in January to convert the Spanish cities of Segovia and Talavera de la Reina into living laboratories over the next few years. Whether these projects will eventually translate into the kind of benefits that many in the public fail to appreciate or not, only time will tell.